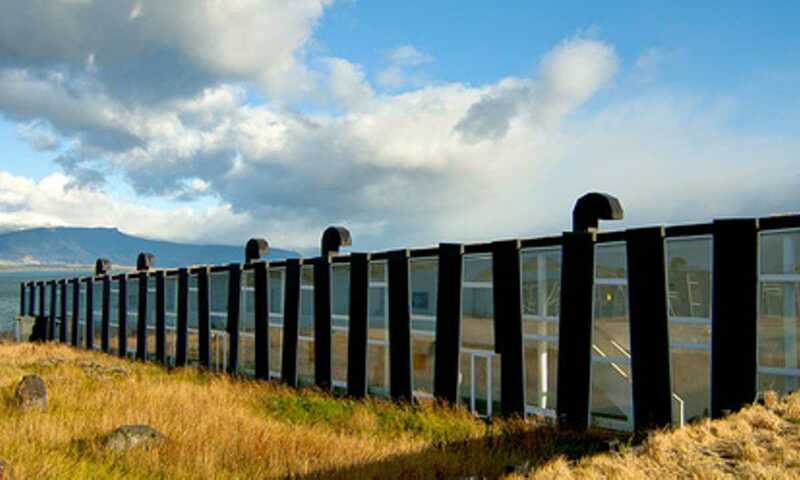 Hotel Remota sits majestically overlooking the Ultima Esperanza Fjord, just a stone's throw away from Puerto Natales. 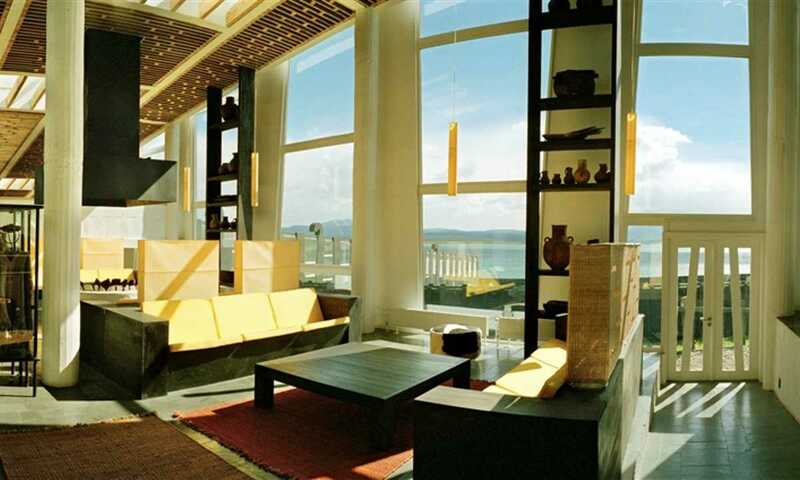 Bright open spaces draw inspiration from the town's sheep farming history and pre-Inca art. Expect exquisite cuisine and breathtaking views of the vast Patagonian landscape. Hotel Remota offers three all-inclusive programs that have been put together to help guests make the most of their stay, whether through half of full-day activities. The soft program has some wonderful, scenic options for guests wanting to take it a little easier, while for those looking for a more active stay, the adventure program allows you to get into the thick of the wilderness. The final choice is a fly fishing program. All excursions are in small groups and led by expert guides. This programme is for all ages and perfect for those that want a more relaxing pace and excursions that aren't too physically demanding. Hike gentle trekking routes, explore some of the easier trails in Torres del Paine National Park, take a boat excursion down the Ultima Esperanza Fjord, visit a local estancia or go biking in and around Puerto Natales. For those who are looking for a more physical challenge, the Adventure Programme has plenty of options including mountain biking, kayaking, rock climbing, off-the-beaten-track hiking trails and horse riding. You also have the full range of excursions from the Soft Programme to choose from. Anyone wishing to do some fly fishing in nearby rivers, spring creeks and lagoons can enjoy doing so in small groups with one guide to two guests. Those on the fly fishing program can also choose excursions from the Adventure program. For guests wishing to stay, but not on the all-inclusive rate, there is the option to stay at the hotel on a bed and breakfast basis. While B&B guests can enjoy all of the hotel’s facilities, any excursions would need to be booked with a travel operator in Puerto Natales, as the excursions provided by the hotel are solely for guests doing the all-inclusive programs. Hotel Remota can assist with recommending travel operators in town. There is an incredible serenity about this hotel with its bright, open spaces and beautiful traditional art throughout. The food was some of the best I've tried in the region - such creative dishes and delicate flavours. Located just 1.5 kilometres north of Puerto Natales, Hotel Remota is within walking distance of the town, yet still manages give you the sense that you are nestled deep into Patagonian wilderness thanks to wonderful views of the Ultima Esperanza Fjord and surrounding mountains. Award-winning architect Germán del Sol took his inspiration for the hotel from traditional estancia sheep sheds and combined it with an ecological design to create this unique structure. The black tarred, wooden board exterior juxtaposes with floor to ceiling window panes that flood the interior with light, even on grey days. Everything has been carefully thought out to fit in with the Patagonian landscape, from the lenga wood panels to the stone floors and the sustainable eco-roofs. He has collected pre-Inca art and has replicas of artefacts as well as traditional ponchos and fabrics throughout. The cuisine is superb. The à la carte menu offers creative, gourmet dishes inspired by the region, with delicate, balanced flavours using only local ingredients. Guests can choose from imaginative dishes such as guanaco carpaccio, or grilled grouper on creamy polenta. There are also some great vegetarian options and the chef can adapt the menu for specific dietary requirements. Breakfast is a buffet of savoury and sweet delights. The bar serves a full range of tempting cocktails and wines. The bartender will introduce you to the popular local tipples and will take the time to work out the best cocktail for you, whether it’s the traditional Pisco Sour or a variation more suited to your tastes. It’s a real treat to be able to come back at the end of a day of excursions and soak in one of the hotel’s outdoor jacuzzis. You may prefer to sit and watch the sunset from the heated indoor infinity pool or one of the surrounding loungers. There are also separate male and female saunas and for those that want to make full use of the hotel’s spa facilities, you can book a treatment at an additional cost. The spa is in a separate building, cleverly tucked away down a short path from the main hotel. Bedrooms have wall-to-wall panoramic windows that allow natural light to flood in, and floor-to-ceiling strips of lenga wood which bring the forest and nature indoors. All 72 rooms are exactly the same size, a generous 33m2, and the beds can be either doubles or twin. A third single can be added to transform the room into a triple for families or groups of friends. The ensuite bathrooms have spacious bathtubs edged with granite tiles and huge drenching showers overhead. Bathrobes are provided to take down to the spa, as well as slippers. The room is equipped with a hairdryer and there is a laundry service for guests. Bedrooms have Wi-Fi, even if a little patchy at times. Open all year round, the Remota offers you the opportunity to enjoy the splendour and charm of Patagonia whether in summer or winter. For a three-night stay based on two people sharing a room, the all-inclusive per person rates start from $1900 USD for the Soft programme, $2380 USD for the Adventure programme and $2490 USD for the fly fishing programme. The rates include transfers to the hotel, daily excursions, use of the spa, full board and an open bar (additional cost for spa treatments, premium wines and liquors). The minimum stay is three nights from 20th December to 5th January. For fly fishers, a licence is included and equipment can be rented at an extra cost, or guests can bring their own gear. Bed and breakfast starts from $280 USD per double room per night. A half board rate which includes dinner is also available from $400 USD per double room per night.